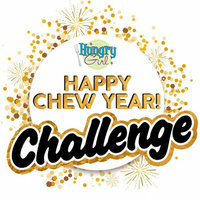 Introducing… Our “Happy Chew Year” Challenge! Happy New Year, HGers! To help you get 2019 off to a healthy start, we’ve got a series of fun and easy daily challenges coming at you all month long. Stay tuned to your Hungry Girl daily emails, as well as our Facebook page and Instagram account, and let us know how it goes! Today’s challenge: Up your water intake by drinking a full glass RIGHT NOW. (We’ll wait.) Drinking more water every day can reduce feelings of hunger and boost energy, so start sipping! And check out these tips & tricks to help you drink more water daily. I want to kick off the New Year by eating really clean and healthy, and I need a go-to list of easy recipes. What would you suggest for jump-starting a healthy diet? Happy New Year! It’s smart to have a set of staple recipes for meals that you can make again and again. Here are more than a dozen recipes for breakfast, lunch, and dinner that I never get tired of. They’re super easy and 100 percent clean, meaning they can be made entirely with all-natural ingredients. BTW, for over SIXTY all-natural recipes in one high-quality magazine, plus loads more exclusive content, check out the latest issue of Hungry Girl magazine… on newsstands everywhere, and available online with free shipping! There are three types of breakfast I eat regularly: easy & egg based, no-cook fruit & dairy combos, and hearty oatmeal (especially the make-ahead kind)! Happy National Buffet Day, January 2nd. Make a healthy DIY breakfast buffet with these whole-wheat pancakes and your favorite toppings: fresh fruit and (of course!) lite or sugar-free pancake syrup. Who wouldn’t love a healthy recipe resource? Click “Send to a Friend” to share these picks!